I hate them . I hate them. I hate them. There, I said it. The team we love to hate is back. And with a vengeance. After losing 9 of the last 10 games to the Eagles over the last several years, the Cowboys decided they were tired of being bullied by the top dog in the East. From opening kickoff until the bitter end, the boys thumped the birds. Thumped them like we haven't seen in years. The game was a miserable thing to watch. Never once having anything to cheer about. Listening to Joe Buck and Aikman glow about the Cowboys turned my stomach. I even found myself flipping to the Astros /Atlanta baseball game to relieve my disgust. And I never do that. But this was different. No defense. No offense. No fun. It was hard to believe. Was this the Andy Reid led Eagles or something from the bad Ray Rhodes era? Can Donovan get thru the whole season and be effective? Can Westbrook be a viable running back if Andy decides to run a little more? The defensive line is wearing down and getting no push. Where is Walker? Can the defense stop giving up points in the first quarter? The foul mood that is over the city this morning is like a bad hangover. One that won't be easily gotten rid of. 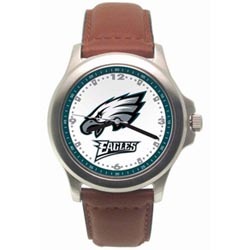 I think I will have mine until Nov 14th when a certain team comes to Philly and the real Eagles show up. I HATE THEM. That's fun to say again after all these years. In case anyone didn't know, the TMA is so named to pay homage to clearly one of the 20th Century's most underrated musical artists, Maureen McGovern. The Maureen McGovern box set is a highlight of my personal musical collection and could garner upwards $19 in what would surely be a fierce, knock-down-drag-em-out bidding on Ebay if I ever decided to part with it, which of course will never happen.